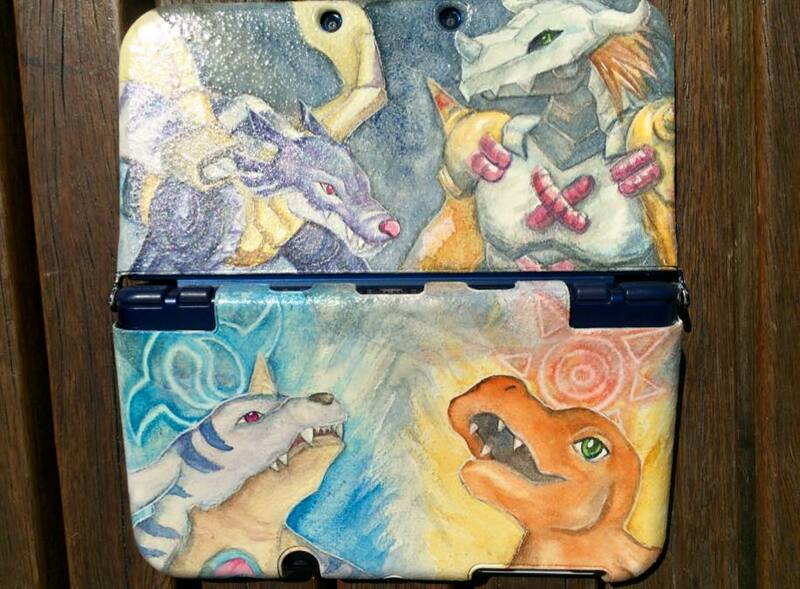 I completed this cover plate commission about a month ago. 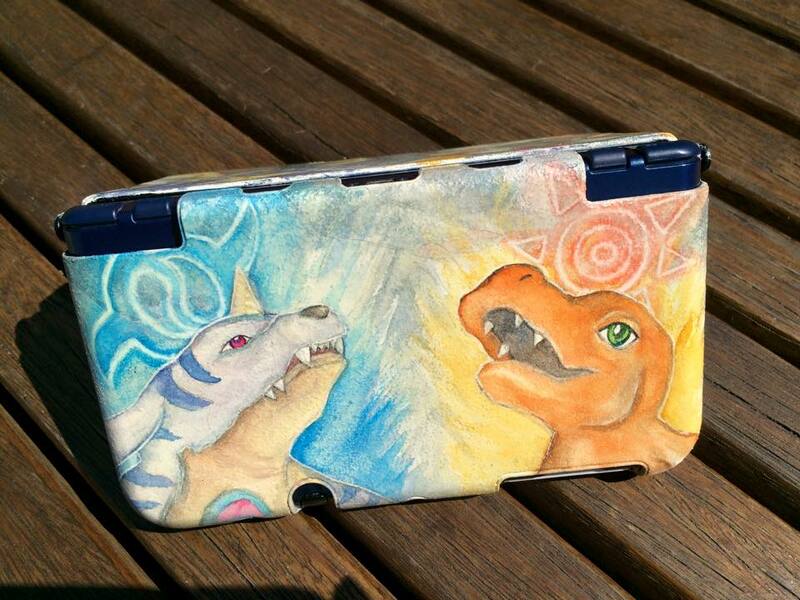 It’s a hand-painted shell cover for the new 3DS XL. The shell is primed with a gesso that allows me to paint it with watercolour paints, and the completed design is sealed with a spray varnish. 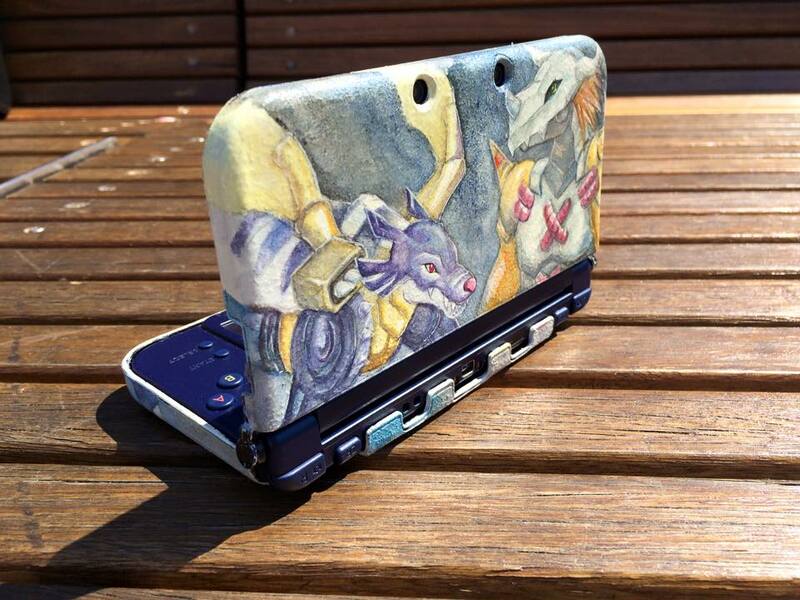 Email me at ale@chenonetta.com if you’re interested in getting your own cover plate commission. Commissions take a month or two to complete (depending on whether I have appropriate cover plates on hand). Prices start from ~$80 AUD if you can supply your own cover plates.